Clevo already presented a new 15 inch barebone which can also be equipped with very powerful graphics cards at the CeBit in Hannover this year. In the meanwhile not only the barebone Devil 9000 DTX is available, but also the new high-performance graphics cards by nVIDIA. 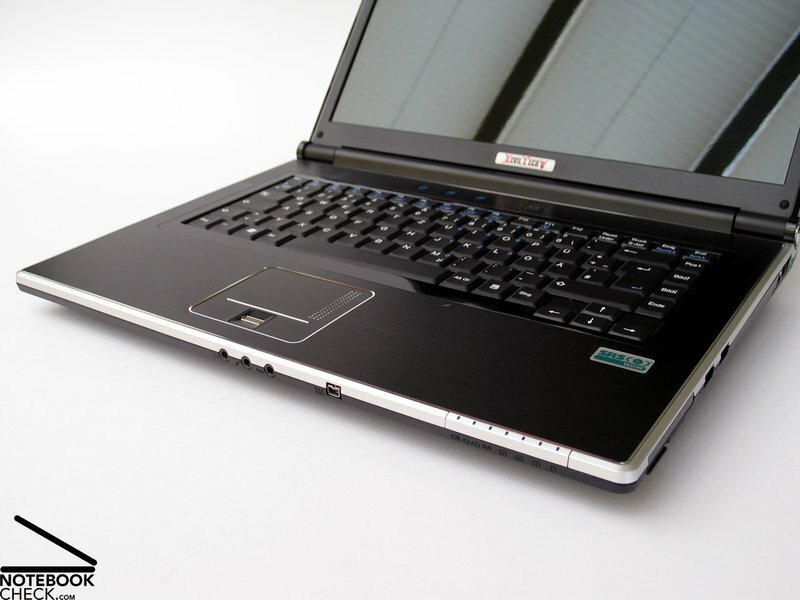 This review covers how this 15 inch notebook model equipped with Geforce 9800M GT graphics card rates in our comprehensive test. 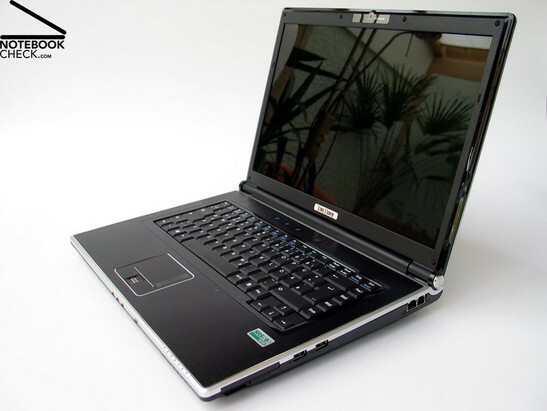 For a long time it was nearly unimaginable to also equip compact 15 inch notebooks with graphics cards belonging to the first performance category (See also Comparison of Mobile Graphics Cards). However, in the meanwhile problems with cooling and component size should be solved, for the Deviltech 9000 DTX is equipped with a Geforce 9800M GT graphics card, the brand-new chip made by nVIDIA, which is about equally powerful than a 8800M GTX chip, which is identical in construction. 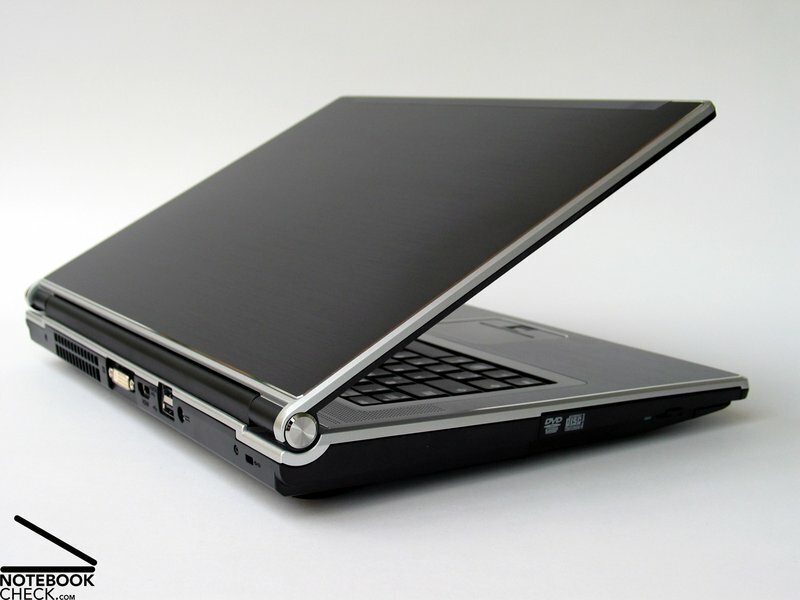 The Deviltech 9000 DTX is not the only notebook with comparably powerful hardware. 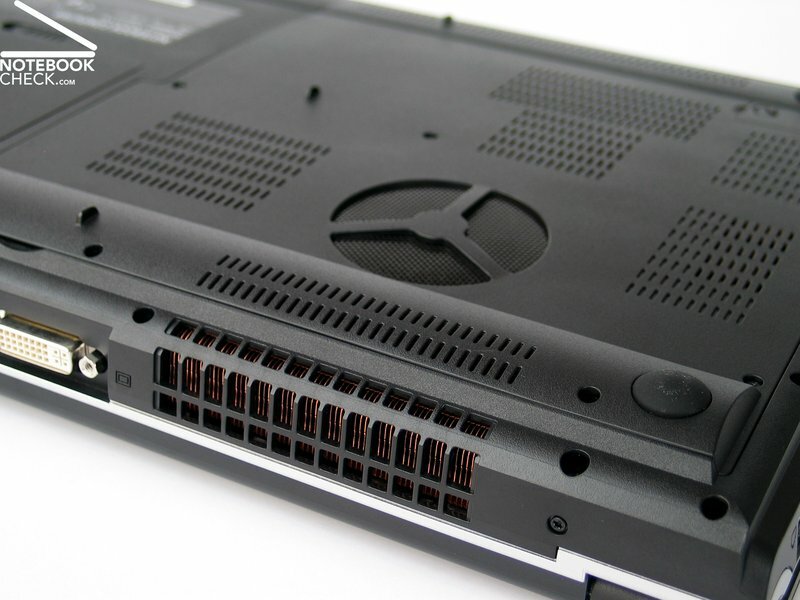 Also the Alienware Area-51 m15x with Geforce 8800M GTX graphics card belongs to this category. 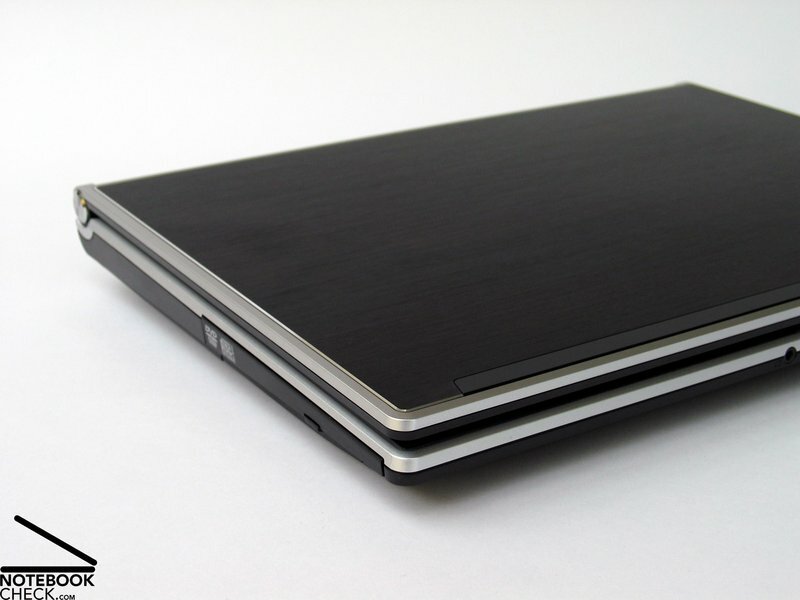 While the case of the Alienware notebook is rather huge, the Clevo M860TU barebone is much slimmer. 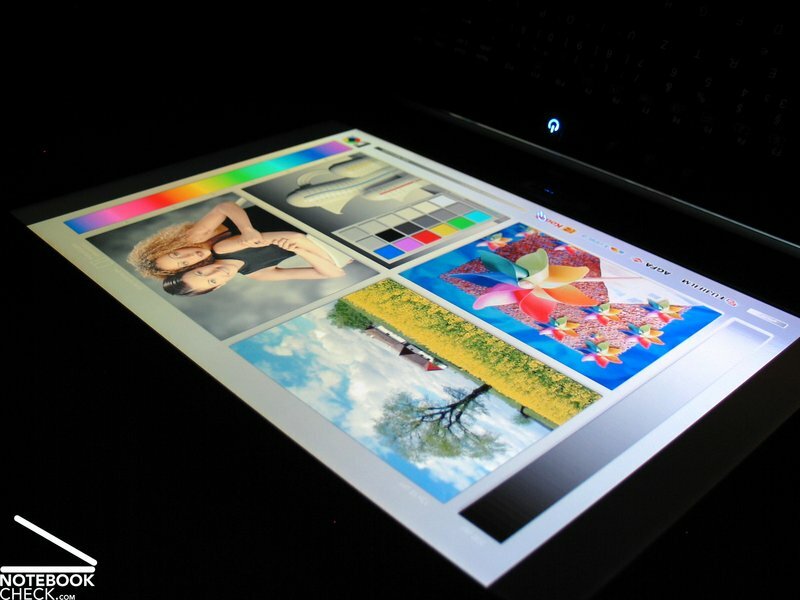 Mainly due to a 15.4 inch display, the width of this notebook is 363 mm and the depth 270 mm. The base-unit is 37 mm thick at the back and gets smaller to the front, whereby its front edge is only 25 mm high. A combination of black brushed aluminium surfaces and silver mouldings and edges in chrome look dominate the design of the case. Besides the On/Off button, which is accentuated by a blue indicator LED, light effects were not used. The aluminium parts used in the lid and the palm rest areas let the Clevo M860TU barebone look elegant and have a high-quality haptics. Overall, the workmanship of this notebook convinces, especially, because all parts have a precise fit and because you will hardly hear any creaking while handling this notebook. 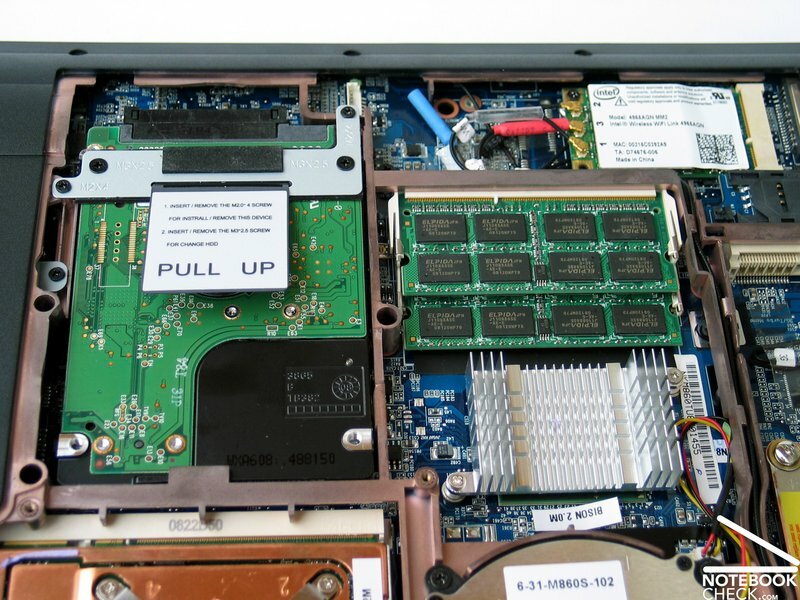 Except of that the parts of the top and the bottom side of the base unit which are close to the CD drive clearly give, the chassis is very stable and flexural rigid. This is also true for the display, whose pressure resistance profits from the use of aluminium parts. The two display hinges appear to be ordinary robust, and are able to firmly support the display without any recognizable see-saw after adapting the display's position. In order to keep the look simple, the Deviltech 9000 DTX does not provide a transport hook. 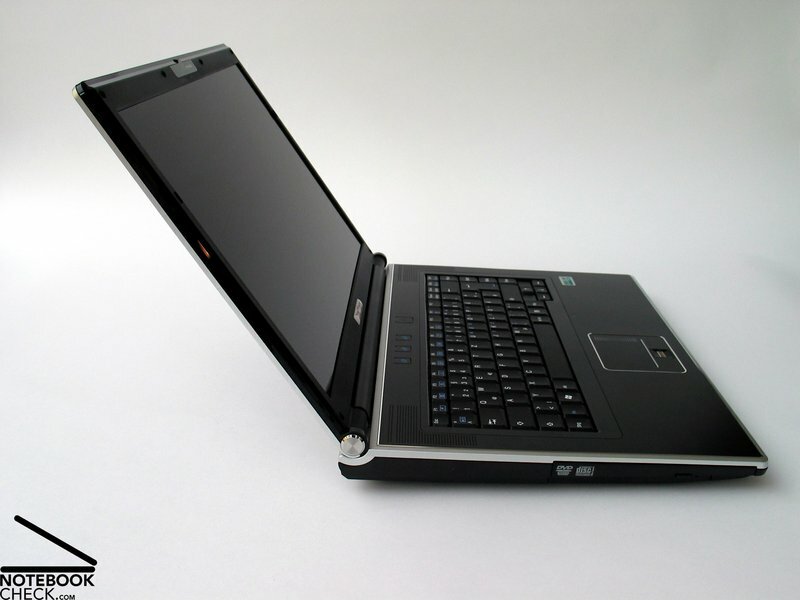 Only the tension force of the hinges keep the notebook closed. 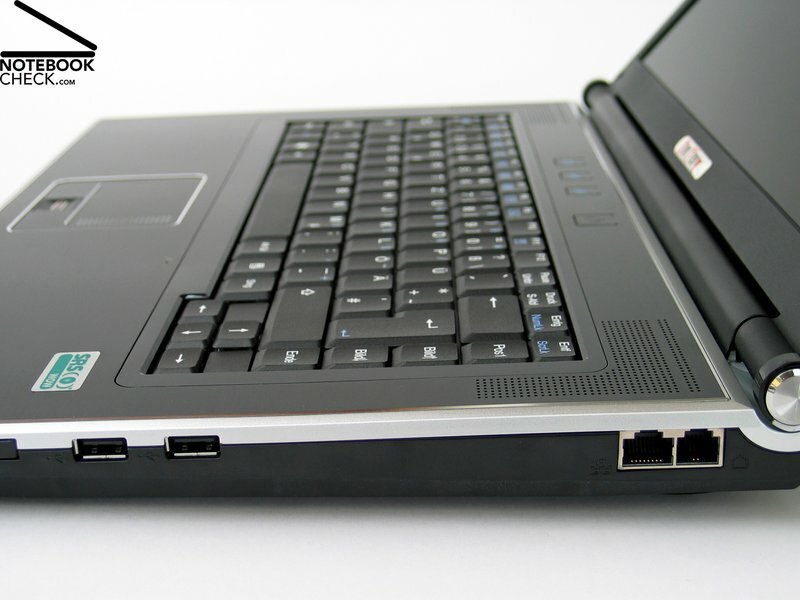 Because the provided ports are spread around the whole case, it first seems that the notebook is only sparsely equipped with interfaces. Once you've looked at all sides, this first impression is quickly put into perspective. On the front edge this notebook provides the 3.5 mm audio jacks, i.e., a headphones port, a microphone jack, and line-in. And a FireWire 1394 port is also available here. 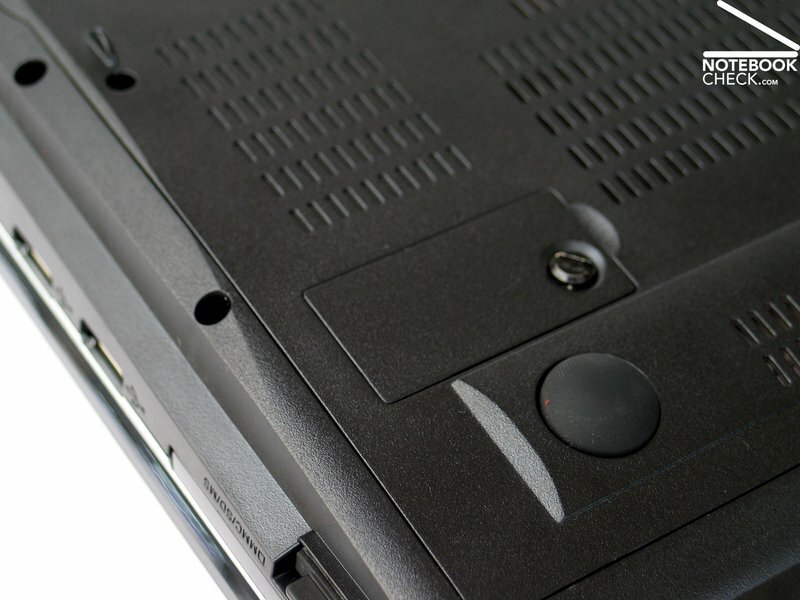 On the right edge close to the front, there is an ExpressCard slot and an integrated 7in1 cardreader. Immediately behind this, there are also two USB 2.0 ports. Closer to the back there are a LAN and a modem port. Let's continue at the back, where you'll also find the vent holes for the system fan. Furthermore, it provides a DVI port, an HDMI port, an eSATA port, and another USB 2.0 port. The power connector and the Kensingon Lock are also at the back side of the case. The left side is only used for the optical drive. To summarize, the connectivity rates absolutely good. 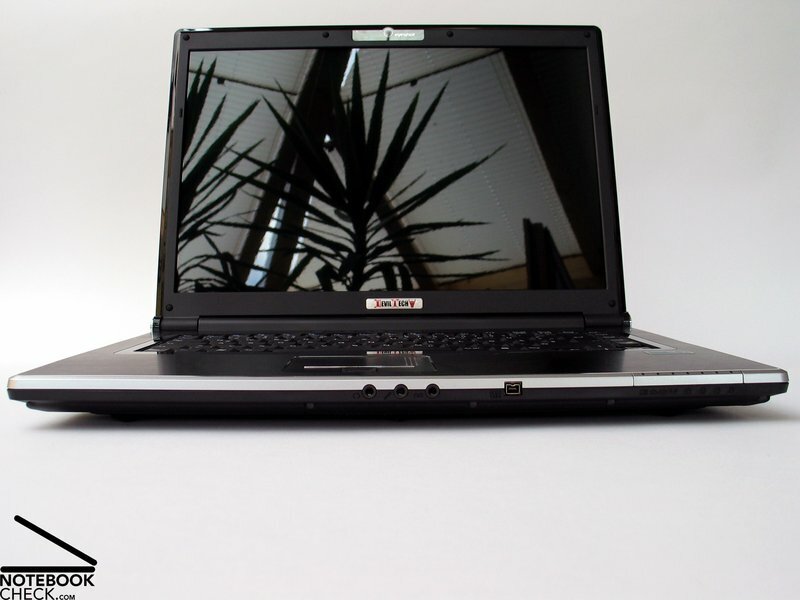 A DVI port and an HDMI port allow a digital connection of external screens and due to the eSATA port it is always possible to immediately enhance the total available mass storage capacity by an external device. Regarding order of the ports, you may criticise that the position of the two USB ports on the right side is not absolutely ideal, because these are in front third of this side. So, using them may reduce the space available right to the notebook. Considering the communication features, the Deviltech 9000 DTX is by default equipped with an integrated Gigabit LAN module (Realtek RTL8168C(P)/8111C(P)). Regarding wireless data communication you can choose between an Intel Wi-Fi 5100AGN and a 5300AGN module. Although both modules support the same standards (a/g/n), they nevertheless differ by their allowed maximum bandwidth. The Intel 5100AGN module enables receiving data with up to 300 Mbps, while 450 Mbps are possible with the 5300AGN module. Optionally the Deviltech 9000 DTX can also be equipped with Bluetooth and with an Intel Turbo Cache module with 2 or 4GB memory. 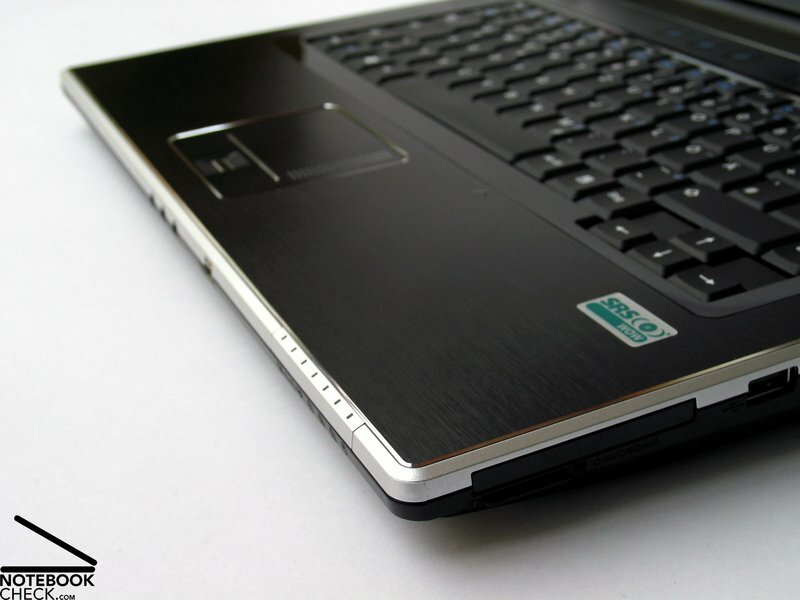 Instead of a DVD burner, which is included in the base equipment, a Blu-Ray drive is also available for this notebook. However, this cost a surcharge of as much as 239.- Euro. Also the warranty period can be enhanced. It can be increased to 2 years up to a maximum of 3 years. 3 years cost 200.- extra. But, Deviltech also has a pick-up service here and guarantees to send the notebook back within 7 work days provided all spares are in stock. 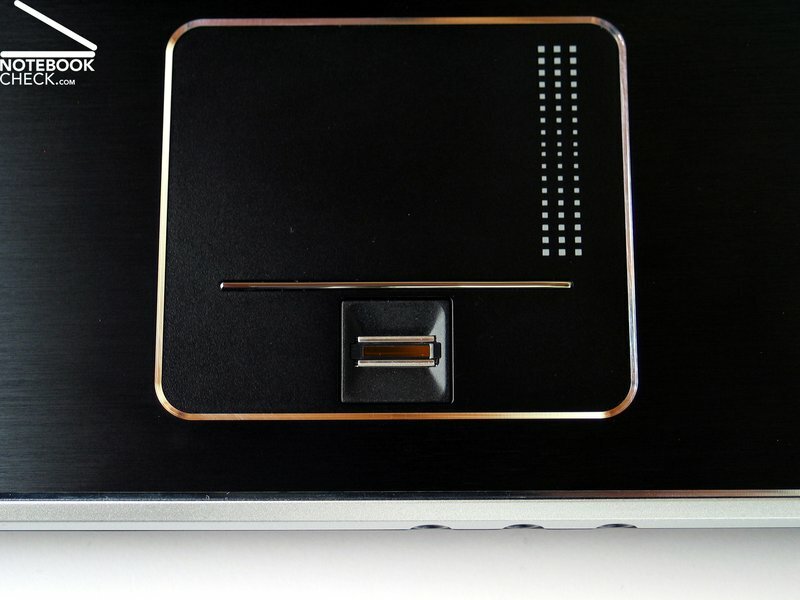 The Deviltech 9000 DTX comes with a centred keyboard with usual layout with the Ctrl key in the left bottom edge and the Del key at the right top. 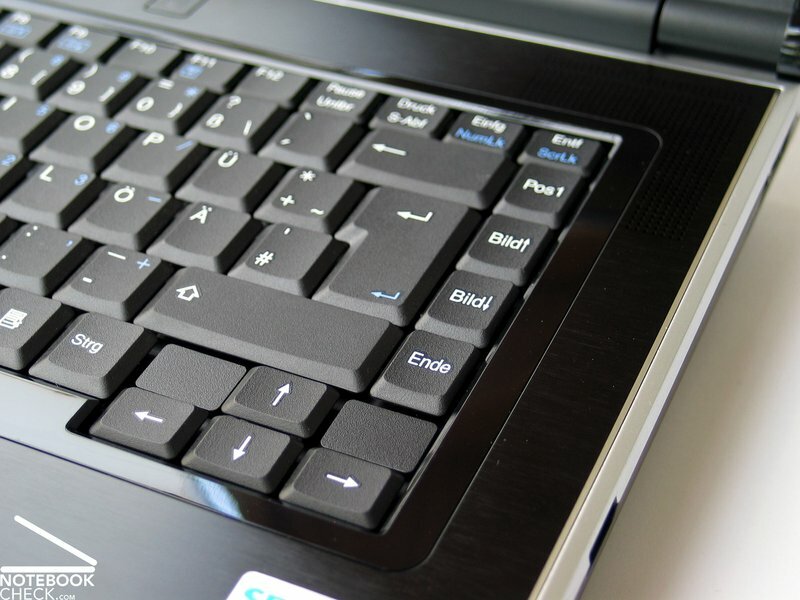 The enter key is double-spaced too, at least in the German keyboard layout model. However, the key row right of the enter key, which consists of the Pos1, Page-up, Page-Down, and End key, might require some time to get used to. Although the keyboard slightly gives if you apply force, this did not have any negative impact on the typing comfort. On the contrary, the 9000 DTX could also convinces in typing long texts. Thereby the key feedback is good with a good pressure resistance. A further positive aspect is the silent tapping. 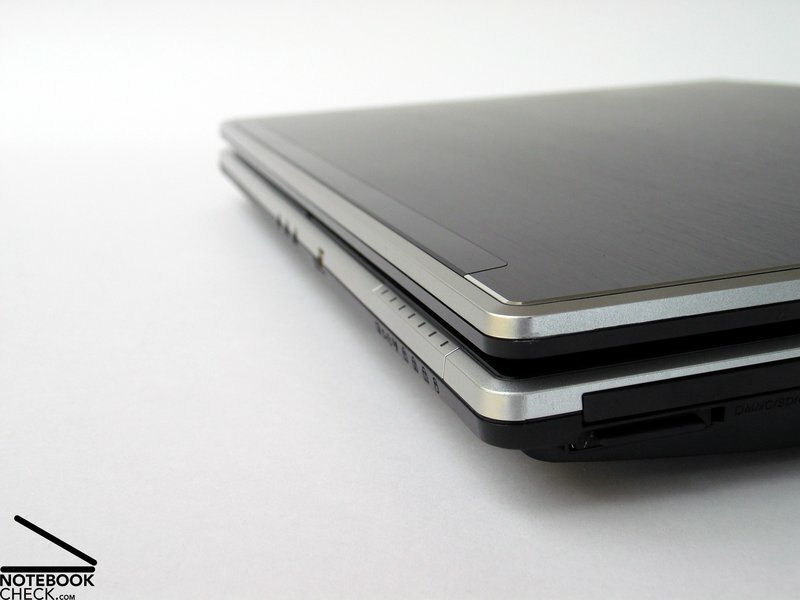 The touchpad is nicely fit into the surrounding case and has a user-friendly surface. This way, you can easily and precisely control the mouse pointer without the need of an external devices. Again the touch pad keys convince by a user-friendly feedback and a silent and hollow clicking noise. The hot keys only allow a quick launch of the default web browser and e-mail client. In our test sample one of the three available hot keys did not have a function. All other settings, like volume control or activation of the WLAN module have to be done with the standard keyboard by an FN key combination, whereas a point of critique is that none of these functions provide a visual feedback on the screen. 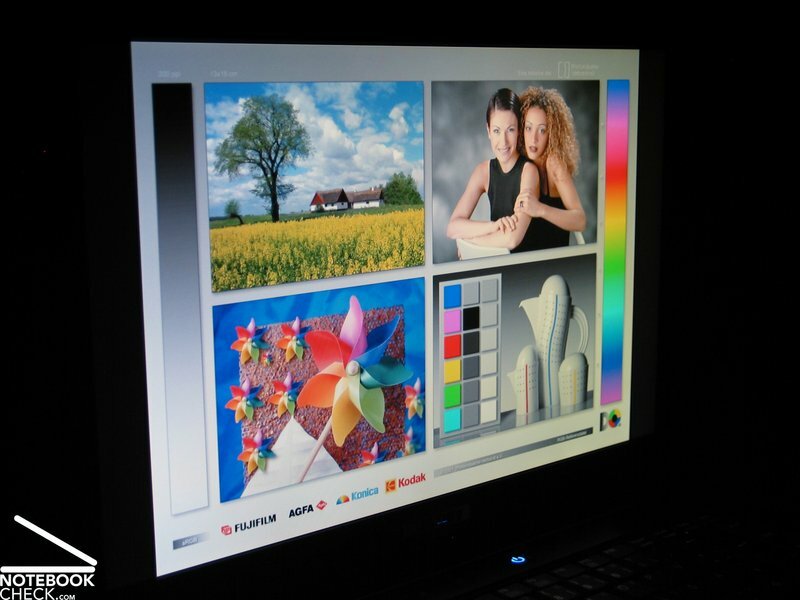 The display the Deviltech 9000 DTX (Clevo M860TU) comes with is a 15.4 inch WSXGA panel with a resolution of 1690x1050 pixels. 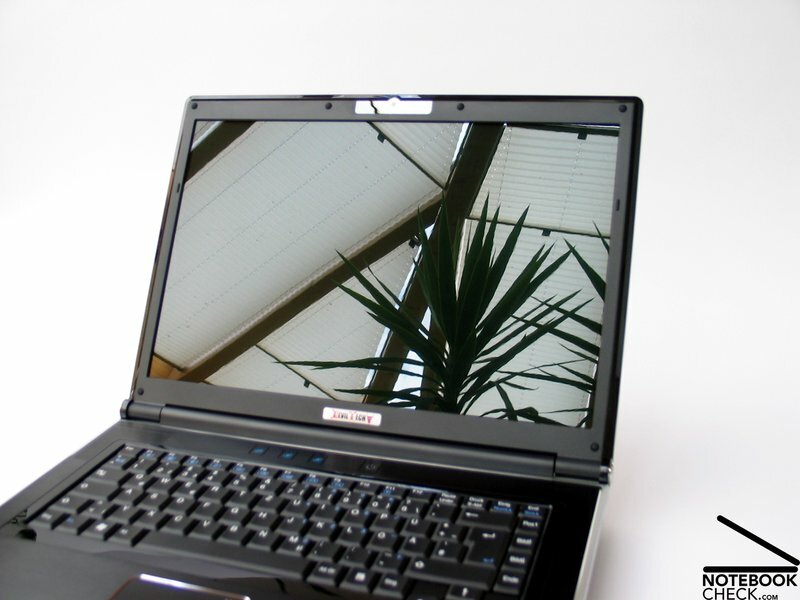 Like most gaming notebooks this is a display with reflecting surface (glare type). 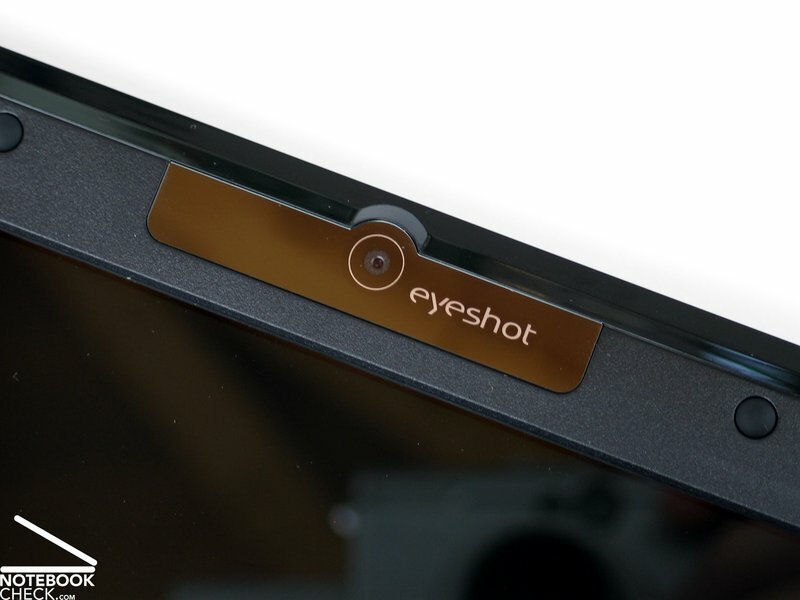 Furthermore, a 2.0 mega-pixel webcam is integrated in the display frame. The WSXGA resolution is an ideal tradeoff between overview and font size for a 15 inch display. Furthermore, the built-in graphics card is powerful enough for providing sufficient performance in games even with high resolutions. In the brightness measurement of this display we measured a maximum brightness of 167.8 cd/m², which is a rather ordinary result. The same is true for the subjective impression we had of the display brightness, which is also proofed by the the average brightness of 151.6 cd/m². A pro is that the illumination of this panel of 85.3% is rather good. Even with the naked eye the really dark black is easily recognizable. This is also proofed by a black value of only 0.23 cd/m². 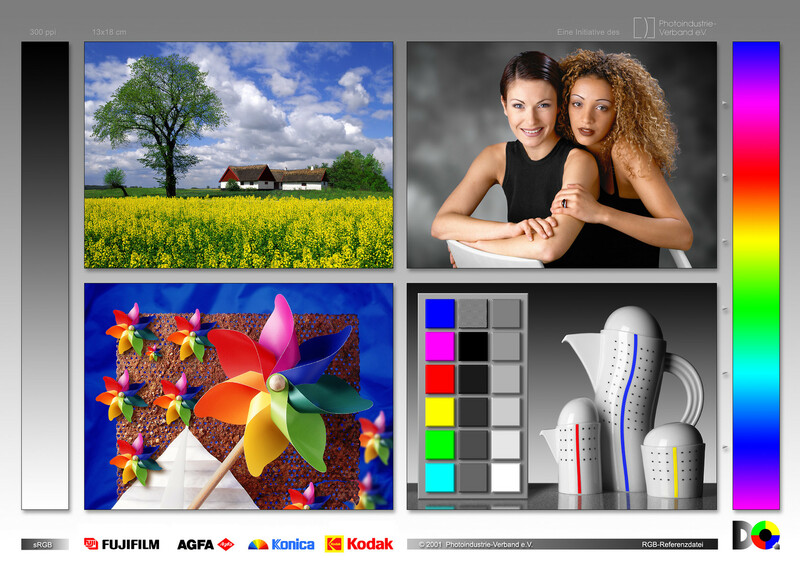 So, the contrast ratio of 730:1 for the Deviltech 9000 DTX is also excellent. 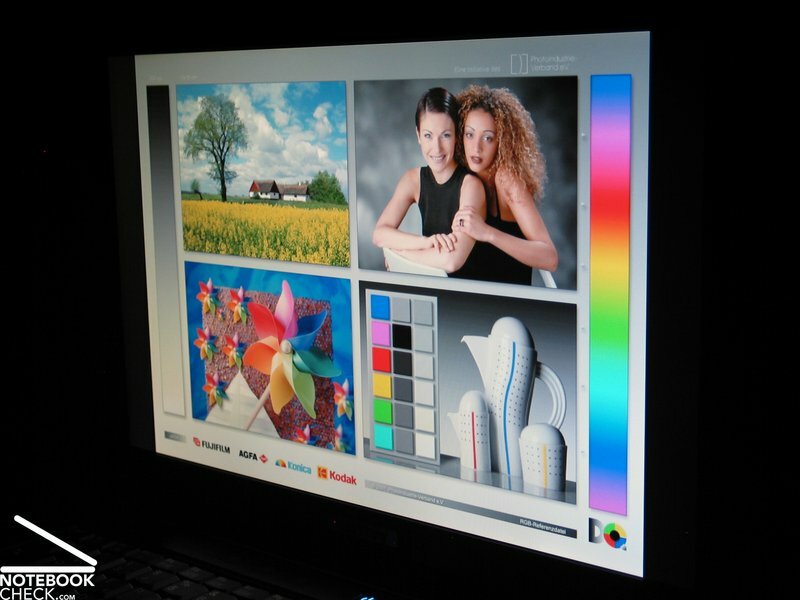 The colour calibration of the display with Spyder 3 Elite Tools by Datacolor displays an originally somewhat too cool colour representation of this display. Two facts argue against outdoor usage of this notebook. First of all a brightness of about 150 cd/m² is too low to clearly display the contents even in bright environments and the reflecting glare-type surface causes inconvenient reflections. This WSXGA panel also gets an average rating in the viewing angles. Although the area of operation is horizontally as well as vertically sufficient, outside it the displayed picture quickly changes. 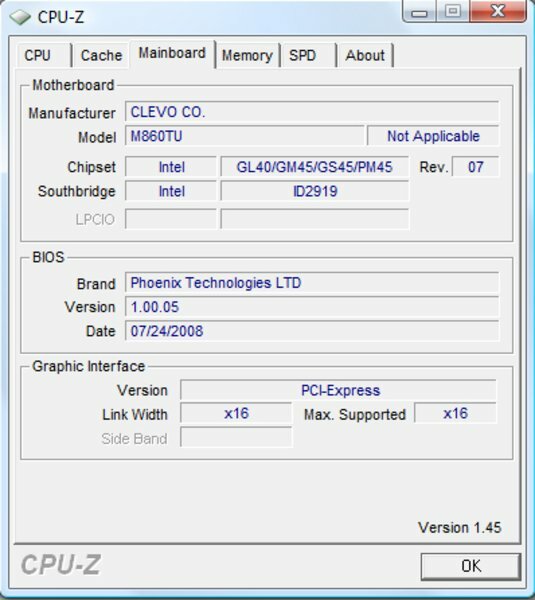 The Deviltech 9000 DTX / Clevo M860TU is based on the new Intel Centrino 2 platform. 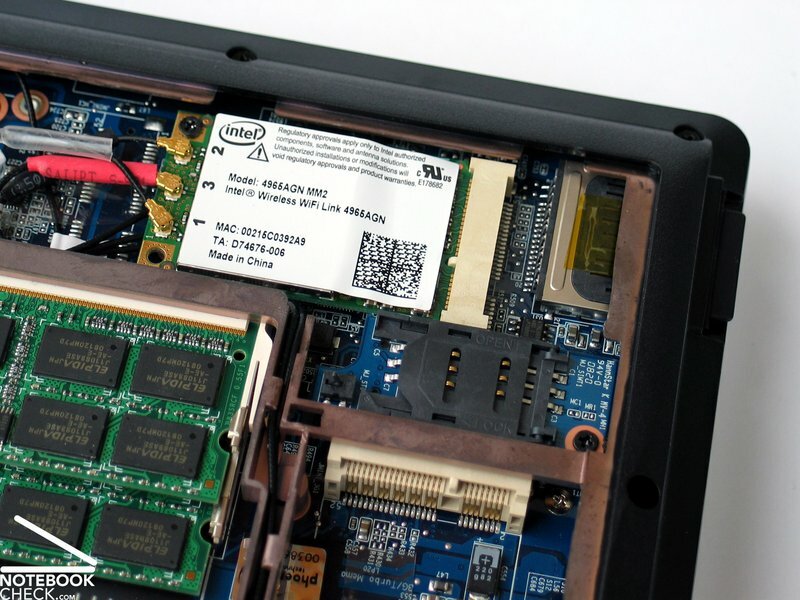 Therewith this notebook already supports processors of Intel's newest generation too. Deviltech offers all new Penryn processor models with a front side bus of 1066 MHz and with 3-6 MB L2-cache for the 9000 DTX. 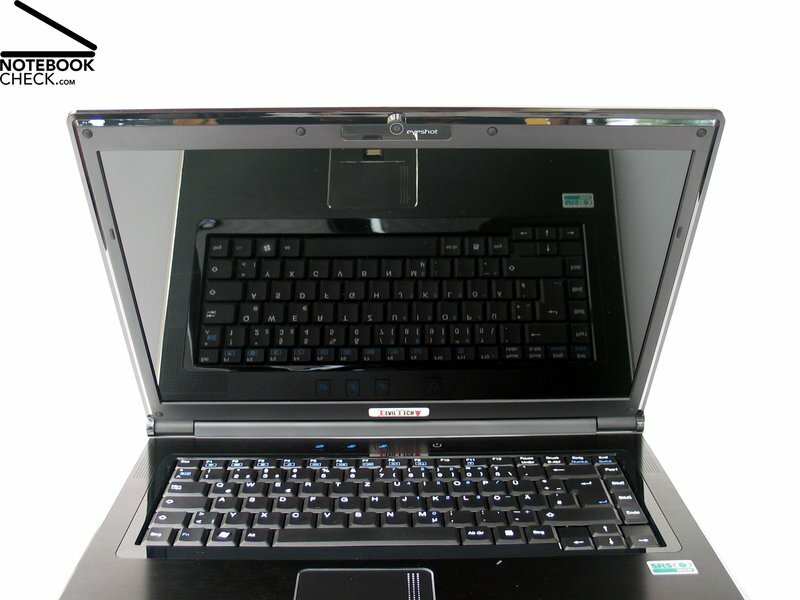 So, the range of choices starts with the P8400 (2.26 GHz) and ends with the Intel Core 2 Extreme CPU X9100 with 3.06 GHz. 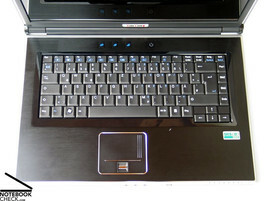 However, compared to the model with P8400 this top model cost as much as 599.- Euro more. A comprehensive comparison of the up-to-date Penryn CPU models by Intel is available here. 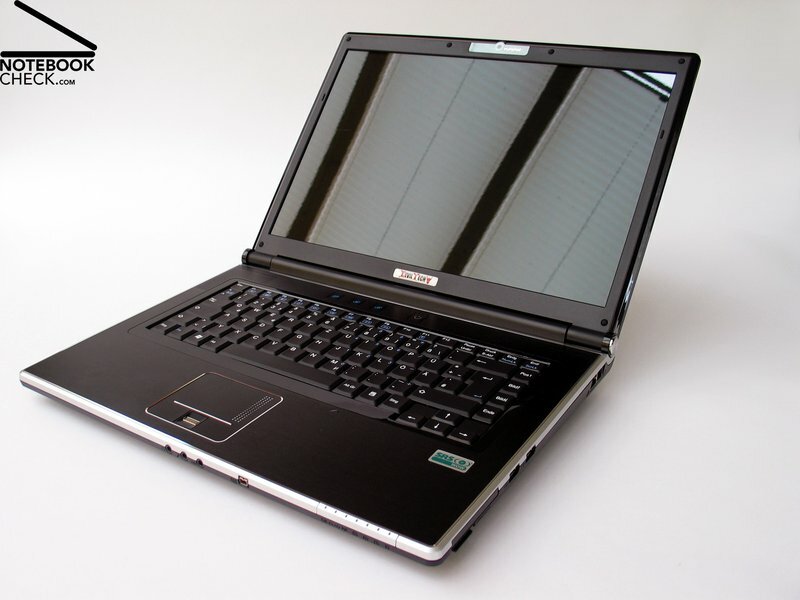 The second crucial component of a gaming notebook is its graphics card. For computer games this can actually be even considered more important than the used CPU. At the time of writing there are two graphics cards available for the Deviltech 9000 DTX, the 9800M GTS and the 9800M GT by nVIDIA. Although the names of these two video solution hardly differ, they have two completely different specifications. While the 9800M GT is more or less the same than a 8800M GTX with more shader units, the 9800M GTS is based on the G94 architecture (Desktop 9600 GT graphics card). Detailed information about the Geforce 9800 GT and about the Geforce 9800M GTS are available in our special article. 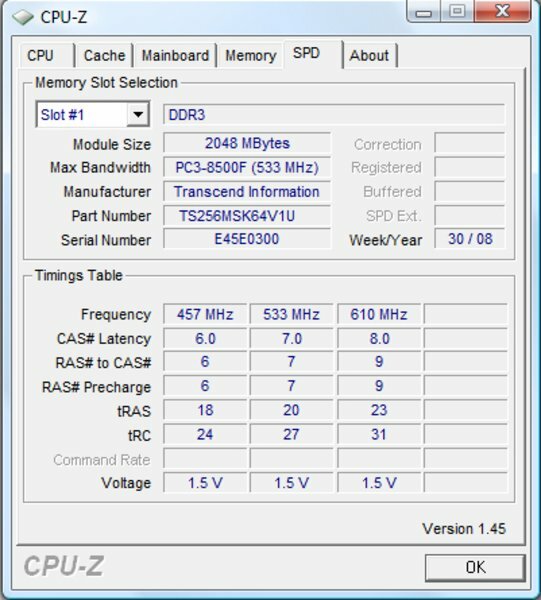 Because of the new Montevina platform by Intel, the Deviltech 9000 DTX already supports the new DDR3 RAM with 1066 MHz. 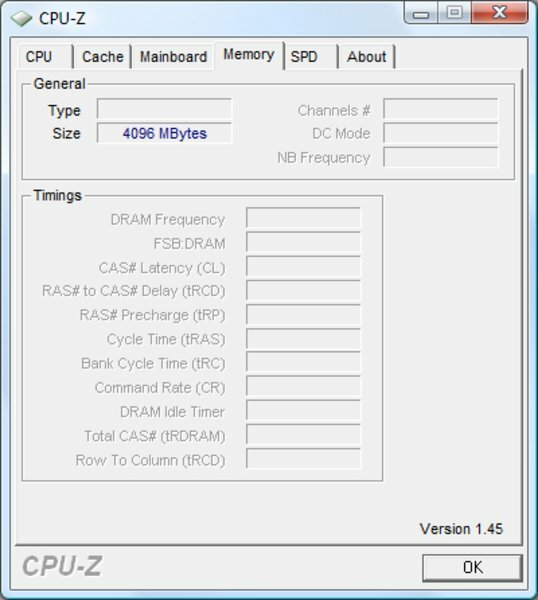 In total the test sample came with 4096 MB of this fast RAM, in two 2 GB modules. This is already the maximum RAM capacity the 9000 DTX is able to support. Also for the hard disk Deviltech offers a number of options. You can choose between 5400 rpm and 7200 rpm models with a gross capacity of up to 500GB or Solid State Drives with a capacity of up to 128GB. 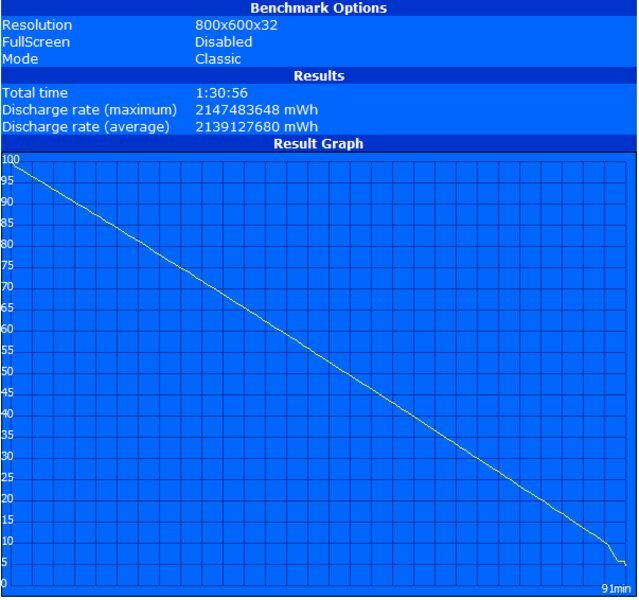 Regarding transfer rate and access time the WD3200BEKT (7200rpm, 16MB cache) with a capacity of 320GB built into our test sample acchieved very good results in the HDTune benchmark. 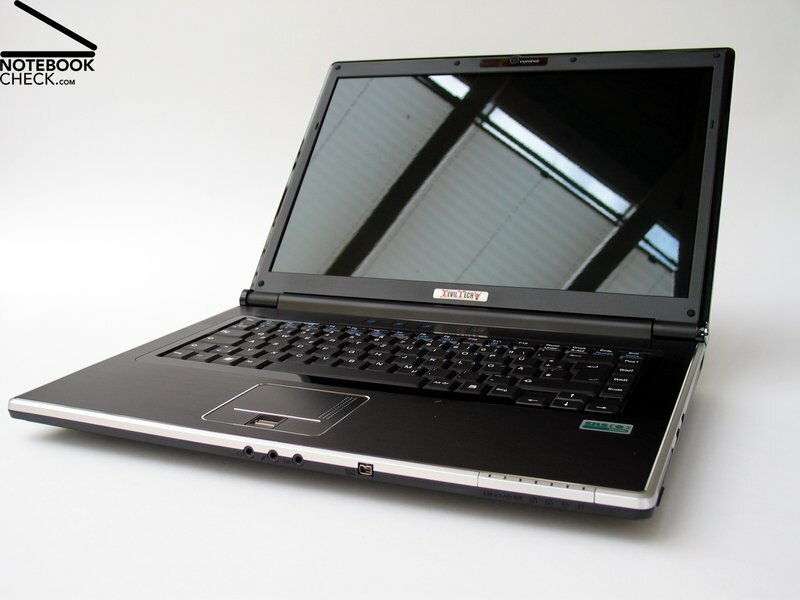 In the PCMark 2005 benchmark the Clevo M860TU notebook demonstrates the first time what it is capable of. Achieving 7387 points it even outperforms comparable notebooks of the DTR category. Here the capability of the new Centrino 2 platform gets obvious the first time. Only the Alienware m15x with Core 2 Extreme CPU and Santa Rosa platform stays still the best. However, you can assume that the 9000 DTX even levels the 7669 points of the m15x if equipped with a comparable CPU. Testing this configuration in the Cinebench R10 benchmark the 9000 showed up with the expected performance in the rendering test. 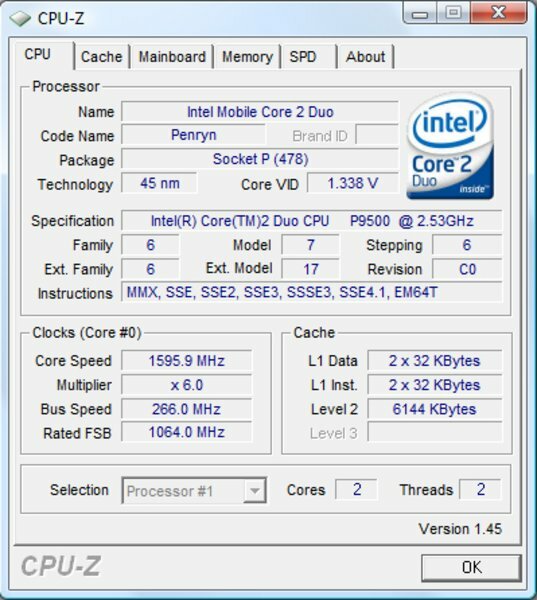 Here the built-in P9500 CPU (2.53 GHz, 6 MB L2-cache) is about equally powerful than the T9500, a first generation Penryn CPU with 2.6 GHz. However, the result of the 9800M GT graphics card in the OpenGL Shading test is really interesting. The 9000 DTX achieves 4593 points, which is clearly less than the Alienware m15x with 8800M GTX graphics card. 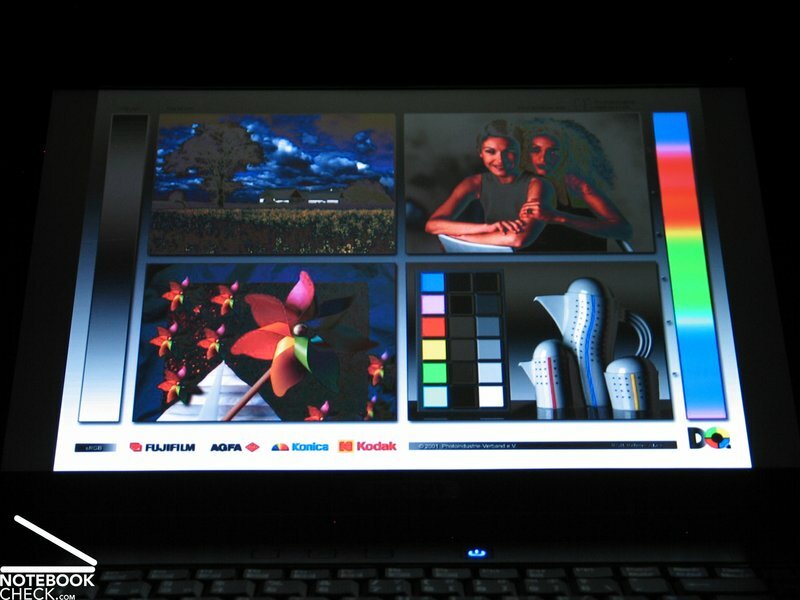 In this benchmark notebooks with Quadro FX professional graphics card by nVIDIA are clear winners. So, the Deviltech 9000 DTX can rather not be recommended for professional CAD or visualization. The performance of the new 9800M GT graphics card by nVIDIA in computer games is already covered in a seperate article. To summarize, it is comparable with the performance of the 8800M GTX graphics card. Depending on the game run, the one or the other graphics card is slightly advantageous. 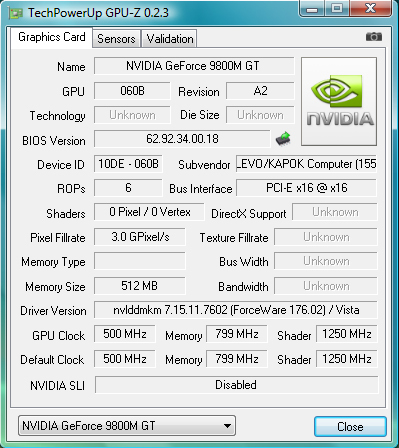 Here you can read about the Geforce 9800M GT graphics card tested inside the Deviltech 9000 DTX. Once the notebook is turned on, the fan starts running and keeps running constantly with a noise level of 35.1 dB(A). In this state this computer system is well audible, but the noise level is acceptable. With standard office applications and Internet work the noise is also permanently on this level. 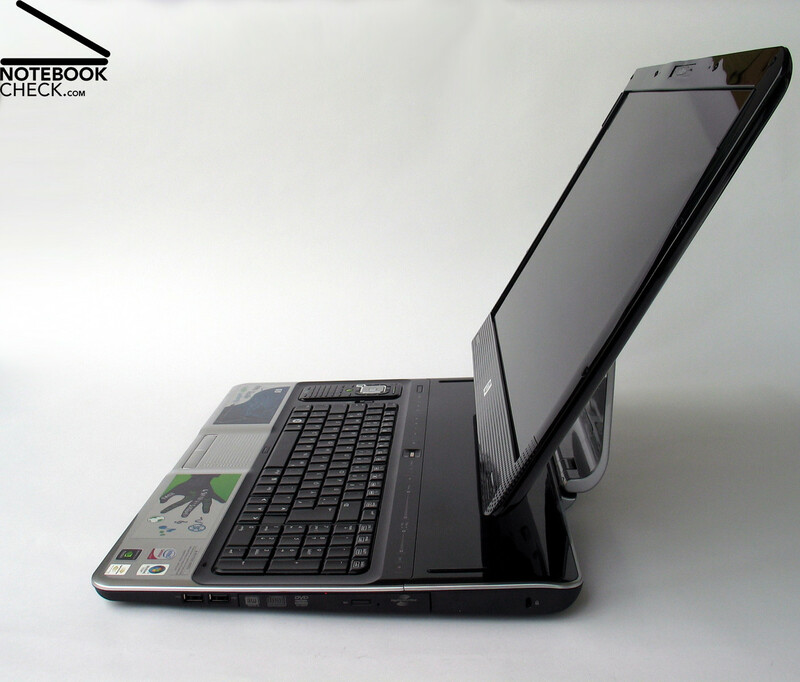 Not until under load, the fan speed increases step by step depending on the demand and the notebook can thereby get really loud. When running computer games, we measured an average noise level of 47.7 dB(A). When we operated the CPU and the GPU at full capacity, we measured even a maximum noise level of as much as 49.7 dB(A). If you run an exiting shooter or a comparably fascinating computer game, you won't really mind the noise. However, when the game flow is quieter, the noise level of the Deviltech 9000 DTX might get really uncomfortable for the ears. Despite the good performance and the nearly overstrained fan under load, the surface temperatures stay overall in an acceptable range. The temperature of the top side increases in the back part to about a maximum of 38.7°C. The temperature of 32.2°C on the right palm rest area is much more unpleasant. This might be because of the metal pad, which subjectively even intensifies the heat. The front side of the bottom side of this notebook stays always clearly below 40°C. 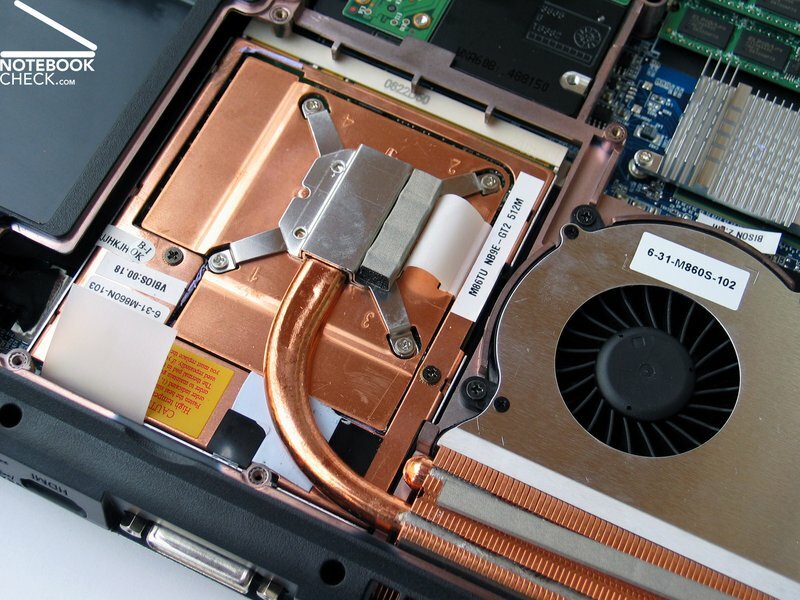 Only close to the fan on the back side of the notebook the temperature increases to up to 46.8°C. (+) The maximum temperature on the upper side is 38.7 °C / 102 F, compared to the average of 39.3 °C / 103 F, ranging from 21.6 to 68.8 °C for the class Gaming. 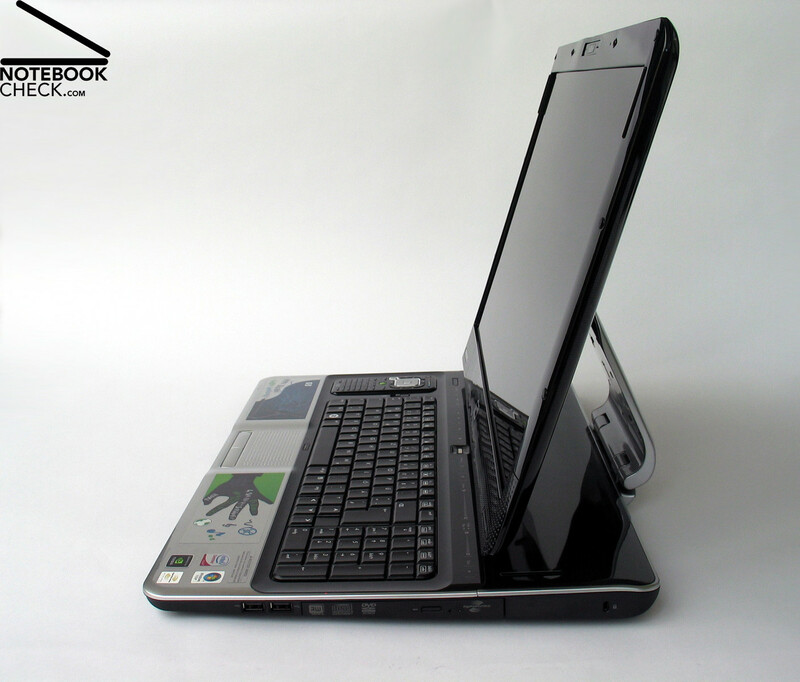 The Clevo M860TU is equipped with two loudpeakers left and right above the keyboard. These have a rather passable sound with good maximum volume. When listening to music or playing computer games they could absolutely convince. The sound via the 3.5 mm jack was clear but a little bit dull. 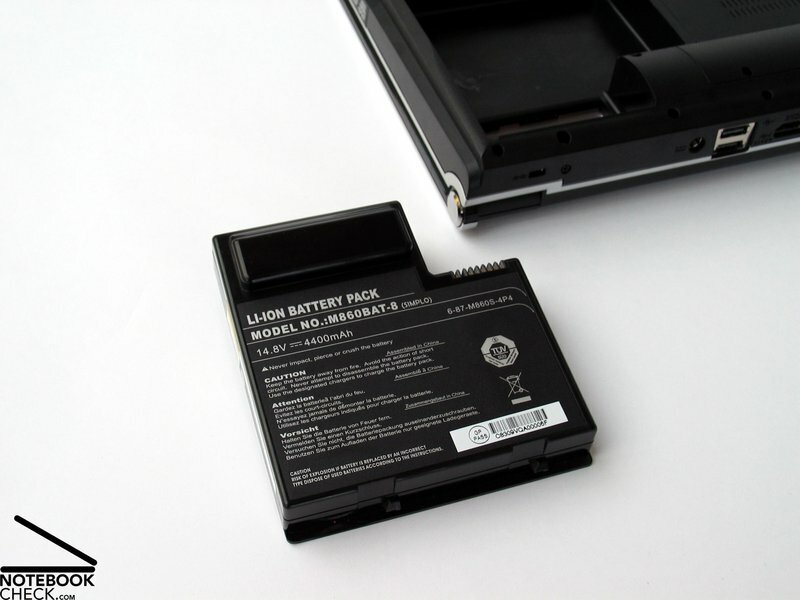 The Deviltech 9000 DTX is equipped a 4400 mAh Lithium-Ions Battery (65.1 Wh). Although it was mainly designed for top performance, this notebook had still a passable battery runtime, at least without load. 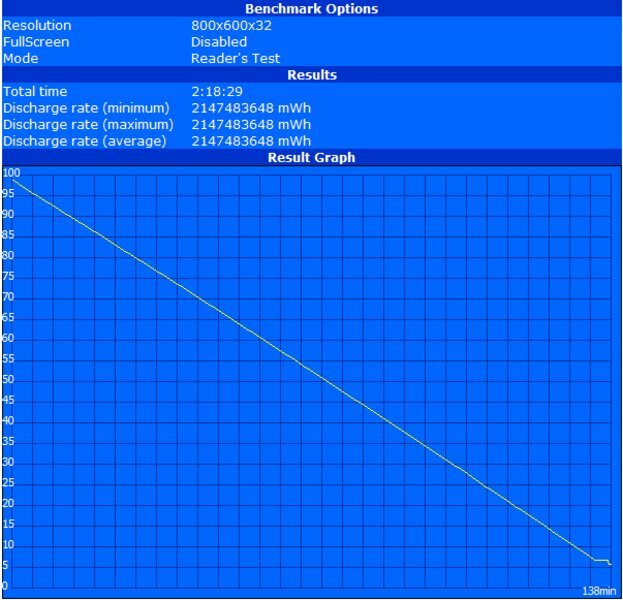 In the BatteryEater Classic test (profile: top performance, load, maximum brightness) the battery runtime was 91 minutes. The battery runtime in the BatteryEater Reader's test was better. 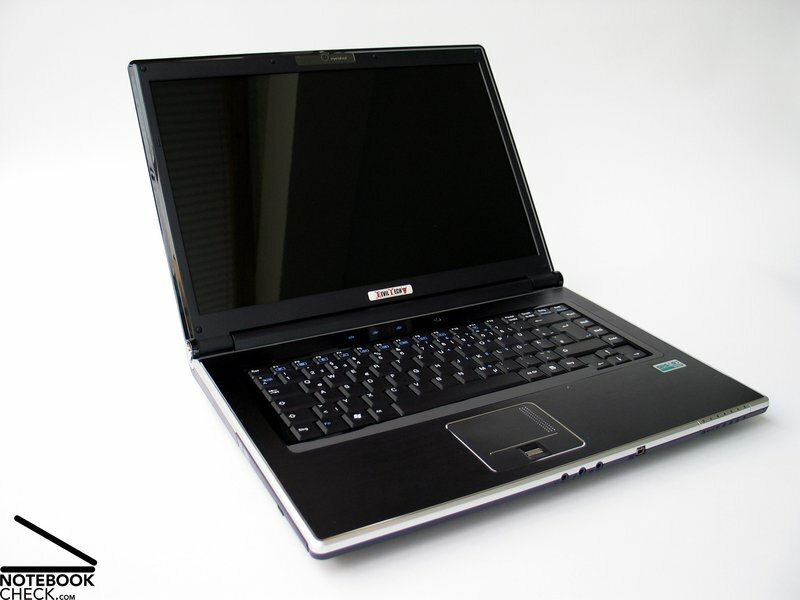 The notebook could be operated for 138 minutes with minimum brightness and activated energy saving profile here. 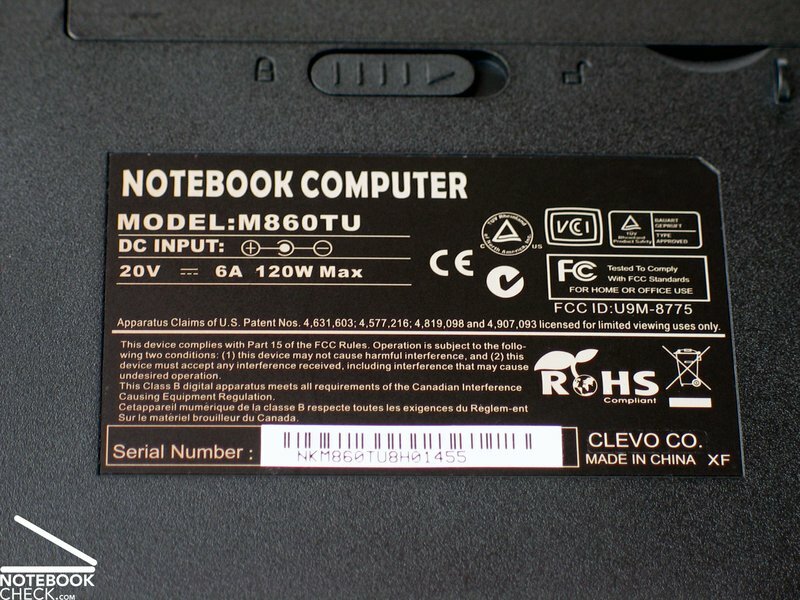 The M860TU made by the Chinese manufacturer Clevo is a very good notebook. 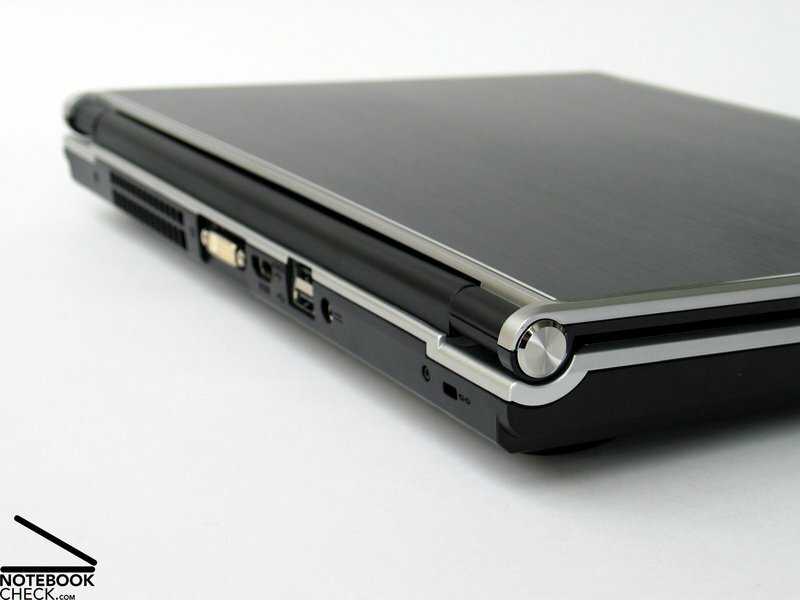 Especially the compact case convinced by the high-quality aluminium parts. These guarantee not only a super look and feel, they also improve the stability of the case. Although the design is simple, its shape looks vivid. 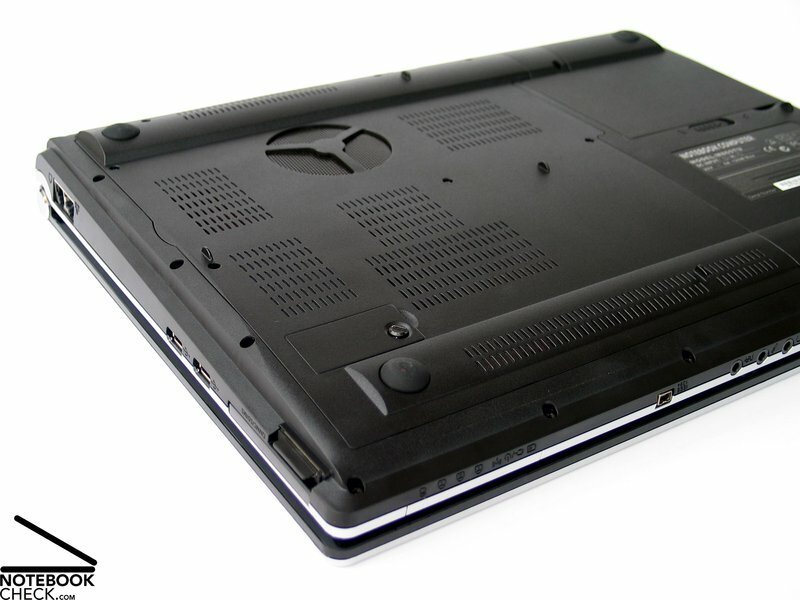 The Deviltech 9000 DTX provides nearly all interfaces which are desireable for a powerful and compact notebook. 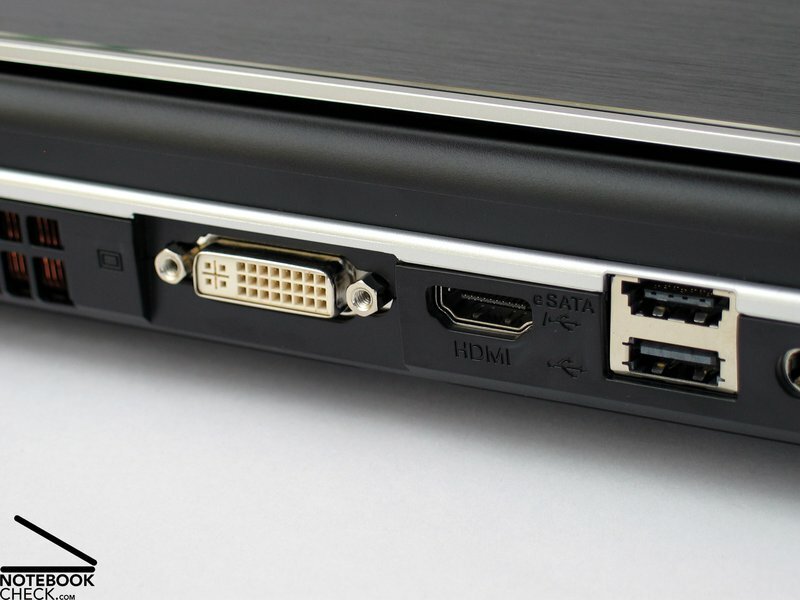 These include e.g., an DVI-out, an HDMI port and an eSATA Anschluss for connecting an external hard disk. Unfortunately the ports are spread around the whole case, whereas the location of the USB ports on the right side is not absolutely ideal. 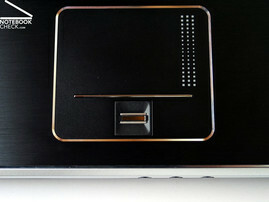 The keyboard and the touchpad could convince in our test. Although they are primarily designed for games, it is also easily possible to key in long texts. 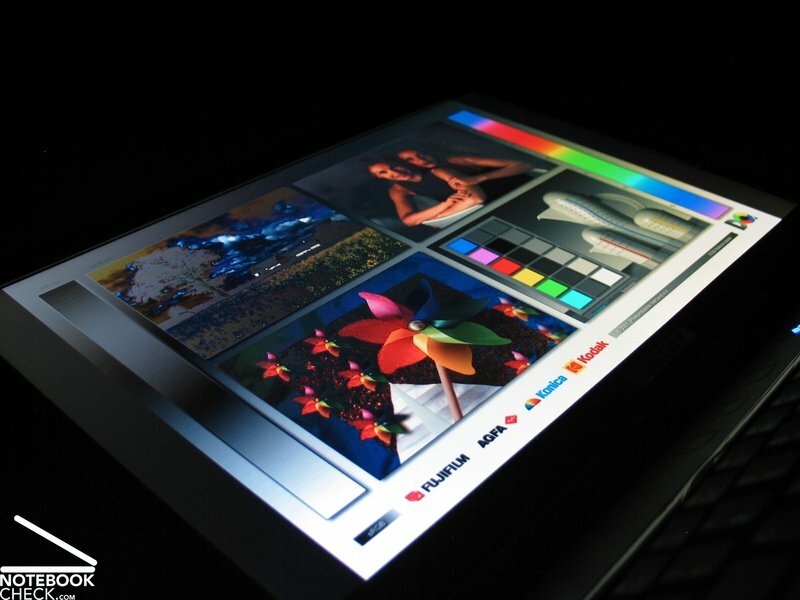 The display has a resolution of 1680x1050 pixels, and, so, offers a good overview. However, its brightness is only average. But, it scores points by an excellent contrast ratio. The biggest advantage of the M860TU is not really surprisingly its performance when running applications and also games. It can be equipped with Intel processors up to the Core 2 Extreme X9100 with 3.06 GHz and the newest Geforce graphics card, the 9800M GT, and is so very successful in the benchmarks we ran. However, the disadvantage of this is the high noise level under load. 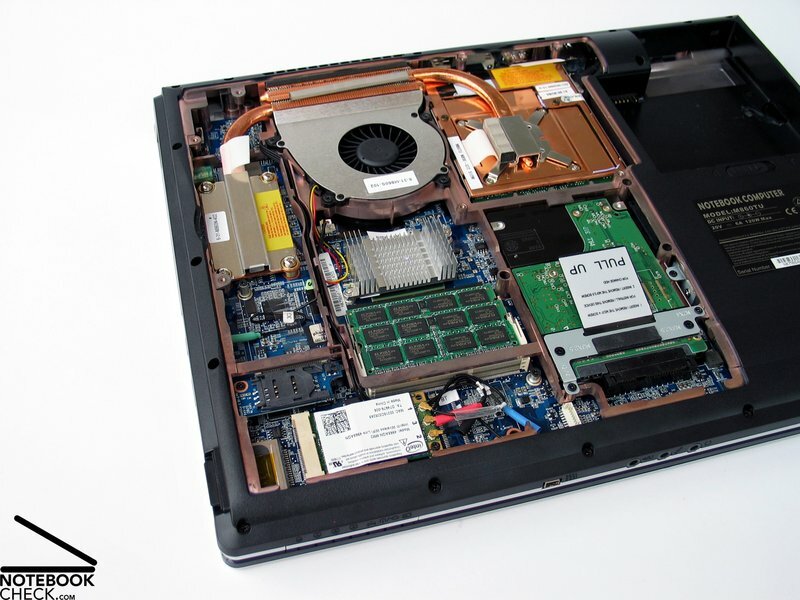 With as much as 49.7 dB(A) the 9000 DTX is one of the loudest notebooks of its category. Surprisingly the temperature on the surfaces stayed mostly alright. The Deviltech 9000 DTX (Clevo M860TU) is an absolutely exciting offer for ambitious gamers who sometimes also want to use their notebook in another way. 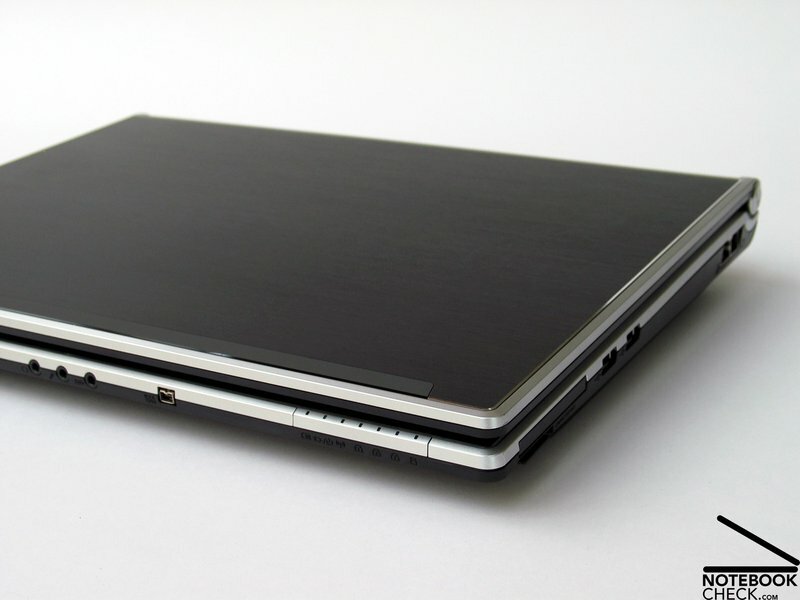 Especially the comparably reasonable price of nearly 2000.- Euro for a notebook which comes with components like our test sample, is an argument for this laptop. 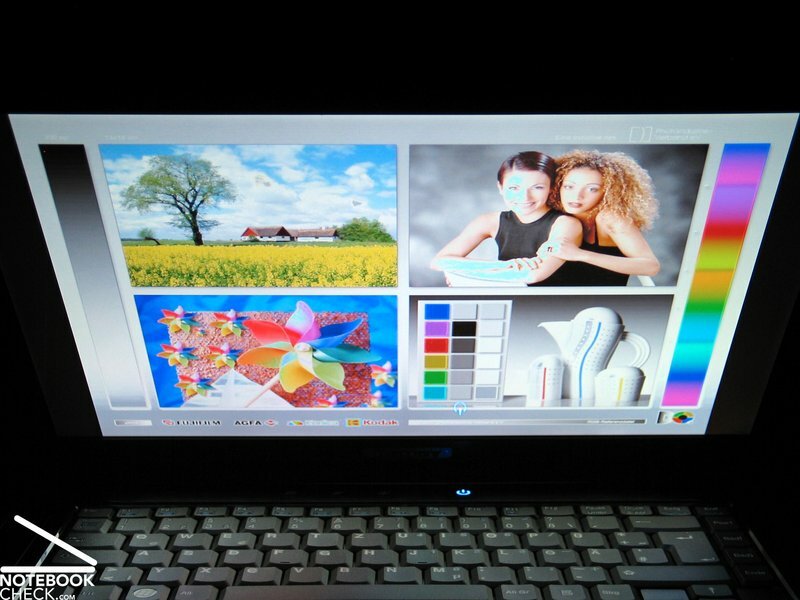 If you do not mind the average brightness and a fan which runs loudly under load, the Deviltech 9000 DTX is a very interresting notebook. 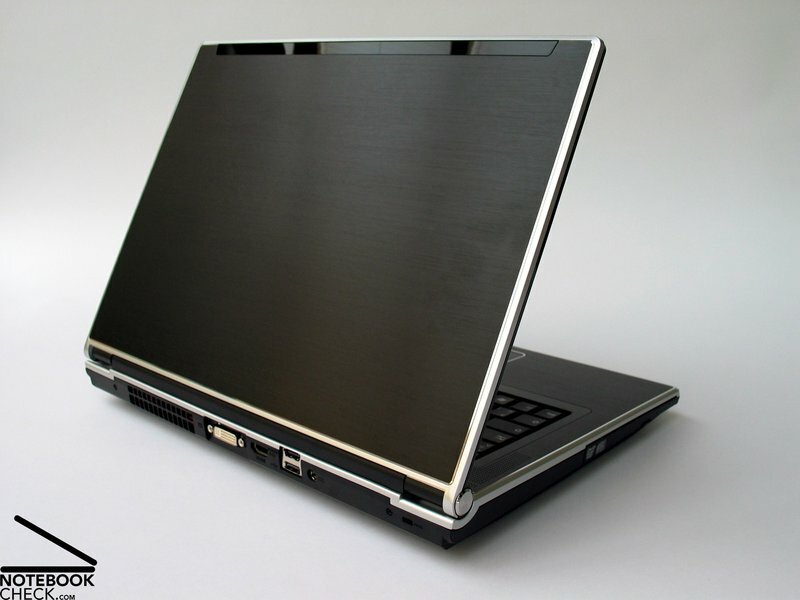 The Deviltech 9000 DTX is based on the M860TU barebone from the Chinese notebook manufacturer Clevo. The brightness of the panel is only average, but, its contrast is excellent. In the display frame there is also a 2.0 mega-pixel web cam. The Deviltech 9000 DTX is based on the Clevo M860TU bare bone, which is very user-customizable. Based on the new Intel Centrino 2 platform the M860TU barebone supports all CPUs of the up-to-date Penryn series up to the Core 2 Extreme CPU with 3.06 GHz. 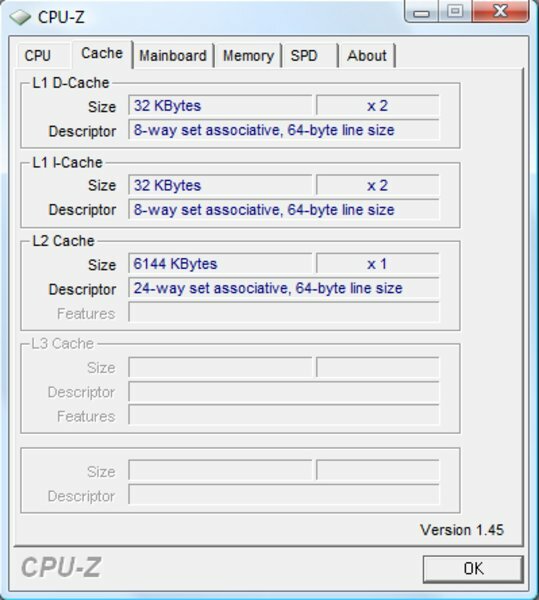 Due to a front side bus of 1066 MHz it already supports the new DDR3 RAM modules too. 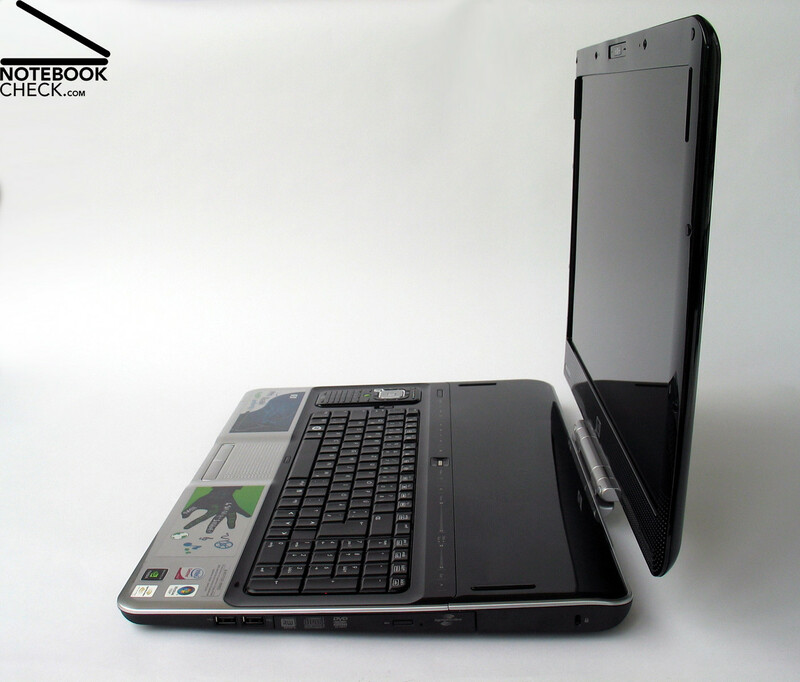 The test sample was equipped with a powerful P9500 CPU by Intel with a clock rate of 2.53 GHz. 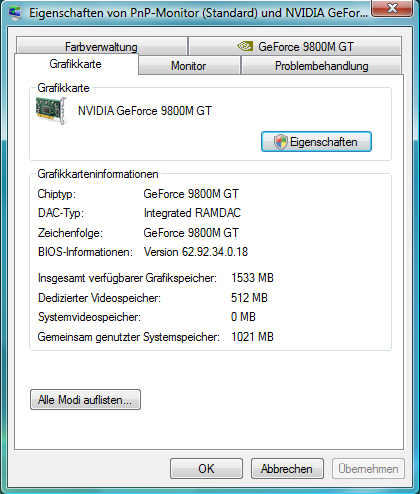 Regarding graphics it came with an nVIDIA Geforce 9800M GT, which has about the same performance than a Geforce 8800M GTX. The system fan was only able to cool the built-in components when running at a noise level of up to about 50 dB(A). The surface temperatures stayed mostly acceptable. The sound of the built-in loudspeakers was passable in our test for both gaming and music playback. 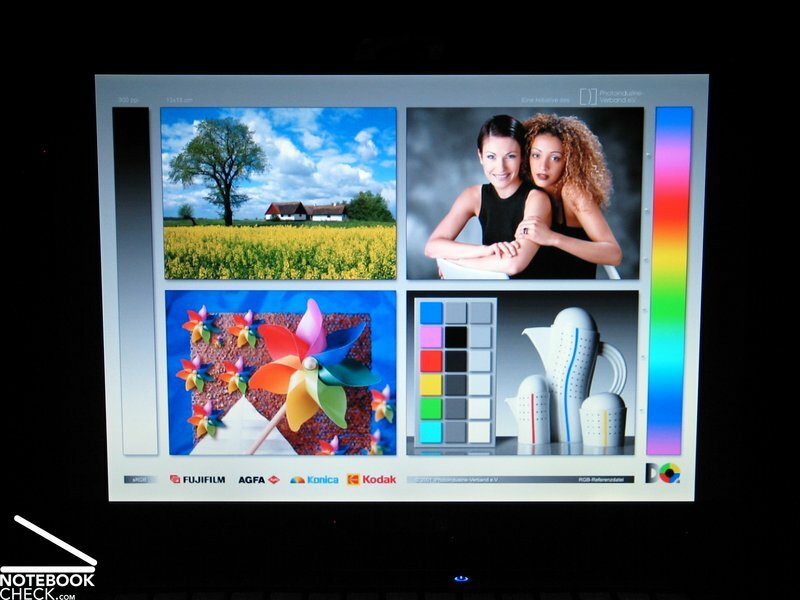 The display is a 15.4 inch WSXGA panel, which offers with a resolution of 1680x1050 pixel a very good overview. ...and very user-friendly typing even of long texts. In contrary to many other powerful 15 inch notebook the Deviltech 9000 DTX scores points by a vivid looking case. This is especially due to bevelled front and side edges. Regarding design Clevo chose simple lines and decent colours. The only accents are the big brushed aluminium parts at the top side of the base unit and at the lid. The interfaces are spread around the whole case. They also include ports like DVI, HDMI, and eSATA. 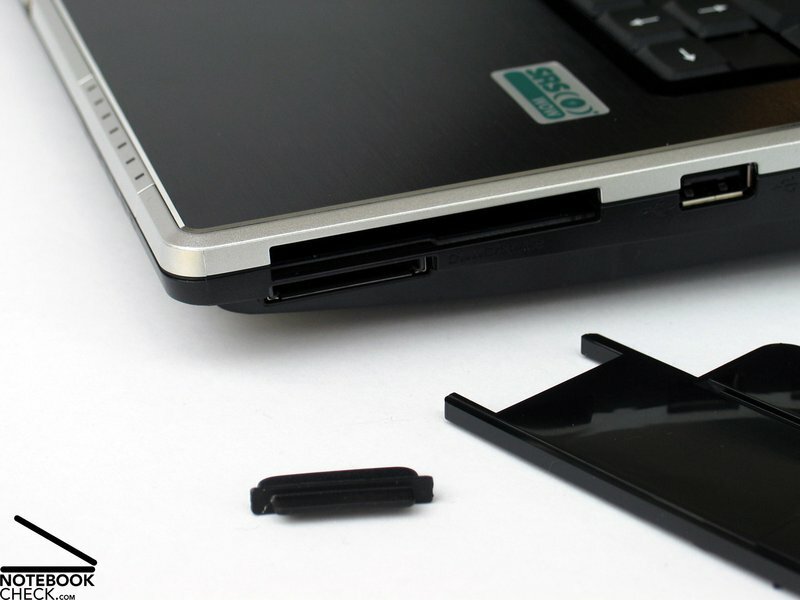 Furthermore, the M860TU notebook is also equipped with an ExpressCard slot and a 7in1 card reader, which are at the right side close to the front. The slot for a SIM card is hidden behind a cover at the bottom side of the notebook. 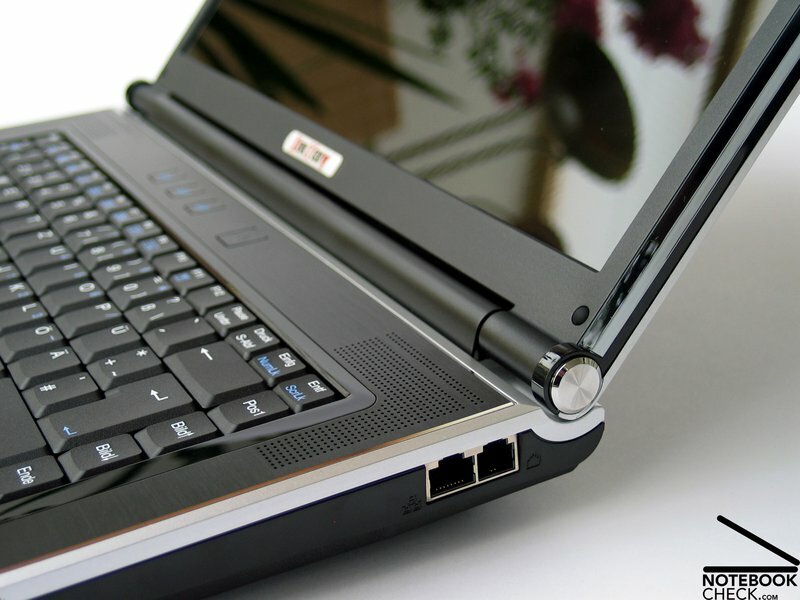 Equipped with an appropriate UMTS module this notebook is also fit for Internet access via mobile broadband. 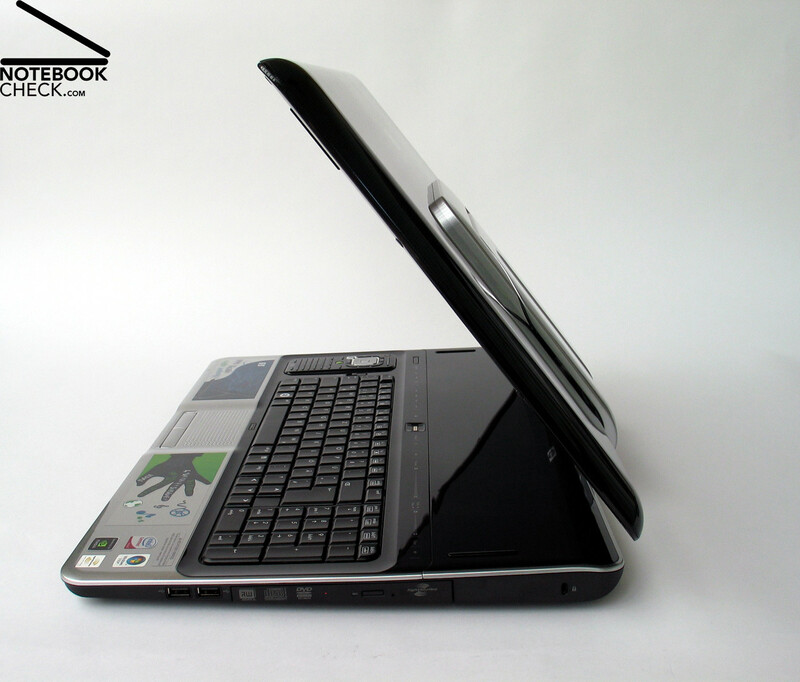 The built-in battery allows to operate this notebook unplugged for up to nearly 2 hours.